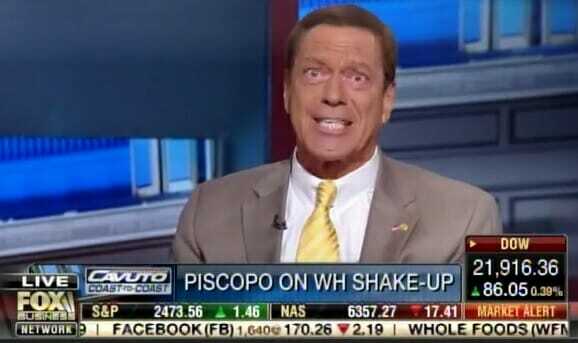 Comedian and actor Joe Piscopo went on with Neil Cavuto Monday to discuss the recent events in Washington DC. Piscopo praised Anthony Scaramucci for his bold remarks and recent promotion. Then he tore into Maxine Waters and Democrats for their current behavior. Joe Piscopo: And then you got Maxine Waters, Maxine Waters. What is with Maxine Waters. And every day with Maxine Waters it’s, “I am sooo angry! Angry! Donald Trump scares me!” Maxine, please, just relax! Piscopo then moved on to mock bumbling Bernie Sanders and Democrat Adam Schiff.